Greater Omaha Packing Company has been in the cattle processing business since 1920. It has grown from a small startup company into a company that now employs over 850 team members processing more than 2,400 head of cattle per day. Greater Omaha did not expand its business by accident; it was the vision and work of three generations starting with the founder of the company, Herman Cohen. We had the opportunity to sit down with Henry Davis to discuss the impact Pennie Z. Davis, his father, made upon him and the industry leader, Greater Omaha Packing Company, Inc.
What is your background and the history of Greater Omaha Packing? Greater Omaha Packing was started in 1920 by my grandfather, Herman Cohen, who immigrated to the United States from Russia. My grandfather started the company and ran it for over 30 years until he sold it to my father, Pennie Z. Davis, who owned and operated the business for another 30 years. I attended Central High School and worked at the plant during summers while in high school and college.  I graduated from the University of Denver in 1973, with a Bachelor of Science degree in business administration and immediately started my career with Greater Omaha Packing Company. In the mid 1980’s, I became President of Greater Omaha Packing Company, which at that time was located at 26th and Q. In 1992, I began the transition of our company into a boxed beef and value added processor which led to the opening of our current location at 30th and L St. In 2000, we opened a new cattle harvesting plant that allowed us to increase production to 2,400 head a day of the highest quality steers and heifers which are marketed to more than 50 countries. We have an efficient and modern beef production facility which is focused on food safety, allowing us to compete in the global market. “The people”. I enjoy the people of Greater Omaha Packing Company. “They are all a part of the company.” One may look at this business and see hundreds of thousands of square feet of plant and millions of dollars of equipment, but what I see are great people. My dad always understood that it was the people that made our company successful. He related to everyone very well. Many employees would come to my dad and confide in him. They would talk to him about their family, their kids and their education. My dad always encouraged his employees and their family members to further their education, and pursue their dreams even if that meant they would leave Greater Omaha. He always encouraged people to better themselves through education. It was one of the wonderful ways my dad led his life. What do you like least? What types of pressures do you see in your career? There isn’t anything I don’t like about my business. I have such great people managing and operating the company. Smaller companies trying to grow have greater pressures that are unique to growth. I can say that there was more pressure when we were a smaller company. Throughout the years that I have witnessed, Greater Omaha has grown from 40 people to 850 people. When we were a smaller company, the pressures of doing it all included addressing HR issues, insurance issues, healthcare issues, sales, procurement, future growth and much, much more. As a business experiences growth, an owner must realize that you need to add competent people to assist you with the growth of the company as every aspect of running a growing business becomes more complicated. Time is very valuable as the business demands more of it. Now that I have the right people in place, the pressure has diminished. The beef industry is made up of four companies that comprise 84% of the market. Greater Omaha is the seventh largest producer of beef in the U.S. We are about 2% of the market and generate over $1 billion in domestic and international sales. Very generally, when you think of ethics what does it mean to you? Ethics is “conforming to acceptable standards”. Everyone has their own interpretation as to what is ethical behavior; it is very subjective. I feel that my personal ethics were developed by seeing and modeling my father’s actions, who “always did things right.” My Dad treated people with respect and he demanded that he be treated the same. He set a high standard for everyone. Treating people fairly is not only the right thing to do, but it creates a great culture that leads to a high quality product, low turnover, an excellent safety record while maintaining competitive costs. Has Greater Omaha Packing always been based out of Omaha? Do the moral values in The Ethical Legacy Project (Integrity, Community Responsibility, Accountability, Financial Vitality & Moral Courage) typify the Omaha business community? Yes, Greater Omaha Packing has always been based in Omaha. I’m not familiar with the business practices of other Omaha companies. Doing business internationally with customers in over 50 countries does expose our business to customers and cultural ethics that are different when compared to those that are practiced in our country and here in the Midwest. Greater Omaha will not do business in countries or with customers, if agreements are of no value and commitments are not honored. It may be accepted business ethics in certain countries, but it is not acceptable to Greater Omaha. Describe an ethical situation you have faced that was relatively easy to handle? states had software that could quickly check who had the right to work. These companies clearly had a hiring advantage. The beef companies in Omaha, who were unable to participate in the Basic Pilot Program, became a magnet for those applicants who did not have a legal right to work. I contacted then Senator Kerry of Nebraska to explain the situation which our company faced. He arranged a conference call with the Deputy Director of the Immigration and Naturalization Services, INS, Doris Misner. I explained my concern to Mrs. Misner about the problem that had been created by the INS. Shortly thereafter, all beef processing companies in Nebraska were allowed to utilize the Basic Pilot software program. This was an important ethical issue for me because I felt that all employers should have the same opportunity to hire those with a legal right to work in the U.S. and I felt that all employers should be using every available tool to only hire those with a legal right to work. Do employees have a path to take if they see something unethical in your business? Greater Omaha Packing Company will produce the finest beef products in a manner that is uncompromising in food safety. With that one statement, it is clear that if any employee has a concern for a product or process, they have to take action. We will not compromise food safety in any manner. We will respect our customers and suppliers by treating them fairly with every commitment we make. Our point is this – it does not matter what our customers or suppliers do on their end. On our end, we are always going to honor our commitments. We may choose to not do any further business with a customer or supplier, but we will always honor our commitments.  We will provide a proper work environment for everyone at Greater Omaha Packing Company and have an unyielding focus on the health, safety and betterment of our employees and their families. I’m not familiar with the focus of other companies on their employees but that is what we do here. A few years ago, we opened up a free health clinic for all employees and their families staffed by bilingual UNMC doctors. I felt it was a very good benefit for our employees to offer a greater level of preventive health care; it fits our mission statement. When you consider the wide variety of benefits you provide for your employees, how much is driven from the side of “this makes business sense” and how much from “this is the moral thing to do”? Centurylink Center, a citizenship program for our employees with on-site ESL teachers four days a week and a summer family event at Funplex Waterpark. When fuel prices skyrocketed out of control a few years ago, we provided a cash fuel supplement to offset fuel expenses for our employees. Greater Omaha Packing spends a great deal of money to provide these programs. The value of these programs is strictly to assist our employees. It is impossible to measure the financial benefit to Greater Omaha from these programs. I know that I want to have the best workplace. The payback will come if our health care programs prevent a complicated birth, prevent a life threatening event by preventative health care and if our employees have healthier families. The payback has already been realized as Greater Omaha continues to attract the best in the industry. Greater Omaha wouldn’t have experienced success without its great team members and this community. Certainly you have to balance benefits with the financial success of the company. I’ll share with you an interesting occurrence – many times I’ve had the teachers that instruct our bilingual classes say to me; “Thank you for letting me teach at your plant”. It’s extremely satisfying to know that not only are our employees benefiting from these programs, but the instructors are impressed and feel like they have helped the community by the achievements of the participants. My father was my mentor in many ways but certainly my mentor in ethics. He never had to sit down and tell me right and wrong, I saw what he did. I remember one time in the 1970’s an employee that worked in the plant with me said, “You know, Henry, my son is going to be a manager at the Marriott national reservations center. I worked here, put my kids through school and your dad encouraged me to have my son go to college. My son has graduated from college, and starts his job next week”. Here was a man who worked on the production line his whole life. He worked hard to provide for his family and accomplished his goals for both himself and his family. The employees’ stories are much more valuable than the stories I’m telling you. Can you imagine the total impact of further education on the future generations of that family? We continue to provide many educational services, including a scholarship program for bachelors, tech and vocational degrees. We also provide services through EduCare to help the dependents of our employees complete school and scholarship applications. Do you see any connection between how you were raised and how you handle ethical situations at work? My dad always said that being a good citizen was very important. He was a very charitable man and made significant monetary contributions to many organizations such as the Child Savings Institute, Bellevue University and the Pennie Z. Davis Child Development Center to name a few. My own personal charitable giving and that of Greater Omaha as a corporation are directed mainly towards helping children in our community. What are the biggest ethical challenges that you think face the younger business professionals today? Advice? I think what you have to do is figure out your personal equation for happiness and for leading a satisfying life. You have to decide what you want out of life and what will make you happy. If you want to be a leader in your organization you will have to dedicate the time necessary to learn all you can about the organization you work for and be one of the most valuable employees. Will you be able to find balance between your professional goals and your personal and or family life? This is the biggest ethical challenge facing our younger people in the workforce. The process of figuring out your personal formula for happiness is a tough one and making those decisions that provide work-life balance can be a challenge. It is obvious to me that certain people have figured out the formula. These are the people that are leaders at work and have a successful family and personal life.